CARY, N.C. (ANS – August 11, 2017) – The tiny Pacific island of Guam, home of TWR’s powerful shortwave station, once again faces being caught in the crossfire between North Korea and the United States. With threats ratcheting up between the Donald Trump’s U.S. and Kim Jong-un’s North Korea over the latter’s growing nuclear-weapon program, Guam’s governor on Wednesday, Aug. 9, sought to downplay the danger to the island. Gov. Eddie Baza Calvo also emphasized that such an attack would be on thousands of civilians as well as on the military. TWR has been broadcasting from Guam since 1975, and KTWR’s Bible-based programming also reaches China, Indonesia and other parts of Asia. In North Korea, according to the InterMedia consulting group, foreign radio broadcasts continue to be an important source of outside information. And this is the case even though people caught accessing information not approved by the government can be imprisoned or even executed, Radio World magazine reported. For this reason, some Christians bury their radios in the ground when not listening to them. You can listen to a brief audio report about this personal security measure at twr360.org/nkradios and watch a moving video featuring responses from TWR listeners in North Korea at twr.org/nkletters. “Together we raise our voices in worship when the radio plays hymns, and we draw near to God when we listen to the messages,” a North Korean listener wrote to TWR. Pray for Guam and its 160,000 people as they navigate this tense situation over which they have little control. Pray for government officials to have the composure and wisdom to bring about a favorable conclusion. Pray for KTWR’s staff and broadcast ministry to North Korea, that they would remain strong and be spiritually and materially well-equipped to provide listeners with the life-giving gospel. Pray for the people of North Korea, that the Lord in his providence will improve the harsh conditions in which they live and that they will hear and respond to Jesus Christ’s message of eternal life. 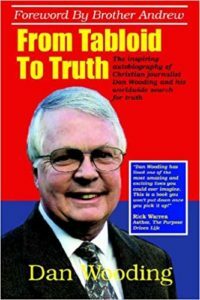 This response from the Christian broadcaster follows news that North Korea has successfully produced a miniaturized nuclear warhead that can fit inside its missiles, crossing a key threshold on the path to becoming a full-fledged nuclear power, U.S. intelligence officials concluded in a recent confidential assessment, according to The Washington Post. In an article by Joby Warrick, Ellen Nakashima and Anna Fifield, to which Yuki Oda in Tokyo contributed, The Washington Post says the new analysis completed last month by the Defense Intelligence Agency (DIA) comes on the heels of another intelligence assessment that sharply raises the official estimate for the total number of bombs in the communist country’s atomic arsenal. The U.S. calculated last month that up to 60 nuclear weapons are now controlled by North Korean leader Kim Jong-un. Some independent experts believe the number of bombs is much smaller. The Washington Post says the findings are likely to deepen concerns about an evolving North Korean military threat that appears to be advancing far more rapidly than many experts had predicted. U.S. officials last month concluded that Pyongyang is also outpacing expectations in its effort to build an intercontinental ballistic missile capable of striking cities on the American mainland. 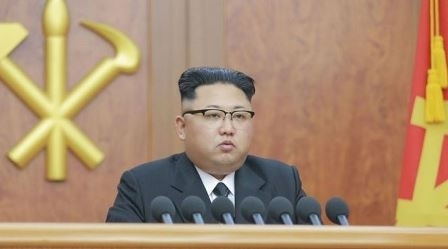 In its analysis, the newspaper says that although more than a decade has passed since North Korea’s first nuclear detonation, many analysts thought it would be years before the country’s weapons scientists could design a compact warhead that could be delivered by missile to distant targets. But the new assessment, a summary document dated July 28, concludes that this critical milestone has been reached. The newspaper said the DIA and the Office of the Director of National Intelligence (ODNI) declined to comment. An assessment this week by the Japanese Ministry of Defense also concludes that there is evidence to suggest that North Korea has achieved miniaturization, the newspaper said. At the same time, the administration has been attempting to push North Korea toward talks, but Pyongyang has shown no interest in dialogue, the newspaper said. “Determining the precise makeup of North Korea’s nuclear arsenal has long been a difficult challenge for intelligence officials because of the regime’s culture of extreme secrecy and insularity. The country’s weapons scientists have conducted five nuclear tests since 2006, the latest being a 20- to 30-kiloton detonation on Sept. 9, 2016, that produced a blast estimated to be up to twice that of the bomb dropped on Hiroshima, Japan, in 1945,” the newspaper said in its article. The newspaper concluded that in the past, U.S. intelligence agencies have occasionally overestimated the North Korean threat. In the early 2000s, the George W. Bush administration assessed that Pyongyang was close to developing an ICBM that could strike the U.S. mainland — a prediction that missed the mark by more than a decade. More recently, however, analysts and policymakers have been surprised repeatedly as North Korea achieved key milestones months or years ahead of schedule, said Jeffrey Lewis, director of the East Asia Nonproliferation Program at the Center for Nonproliferation Studies. There was similar skepticism about China’s capabilities in the early 1960s, said Lewis, who has studied that country’s pathway to a successful nuclear test in 1964. Photo captions: 1) North Korean military parade. 2) Kim Jong-un with his military. 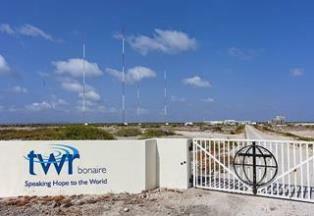 3) TWR’s Bonaire antennas with gate. 4) TWR logo. 5) Michael Ireland. ** You may republish this or any of or ANS stories with attribution to the ASSIST News Service (www.assistnews.net). Please also tell your friends and colleagues that they can get a complimentary subscription to ANS by going to the website and signing up there.